Blood pressure is the pressure of the blood against the blood vessel walls each time the heart contracts (squeezes) to pump the blood through your body (see FAQ123 Managing High Blood Pressure). High blood pressure also is called hypertension. Hypertension can lead to health problems. During pregnancy, severe or uncontrolled hypertension can cause complications for you and your baby. Fetal growth restriction – High blood pressure can decrease the flow of nutrients to the baby through the placenta. The baby may have growth problems as a result. Preeclampsia – This condition is more likely to occur in women with chronic high blood pressure than in women with normal blood pressure. Preterm delivery – If the placenta is not providing enough nutrients and oxygen to your baby, it may be decided that early delivery is better for your baby than allowing the pregnancy to continue. Placental abruption – This condition, in which the placenta prematurely detaches from the wall of the uterus, is a medical emergency that requires immediate treatment. Cesarean delivery – Women with hypertension are more likely to have a cesarean delivery than women with normal blood pressure. A cesarean delivery carries risks of infection, injury to internal organs, and bleeding. 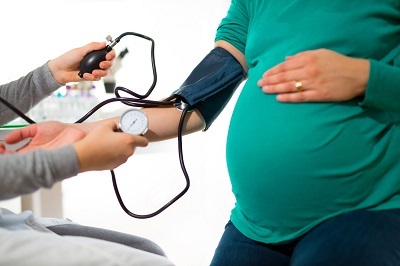 Your blood pressure will be monitored closely throughout pregnancy. 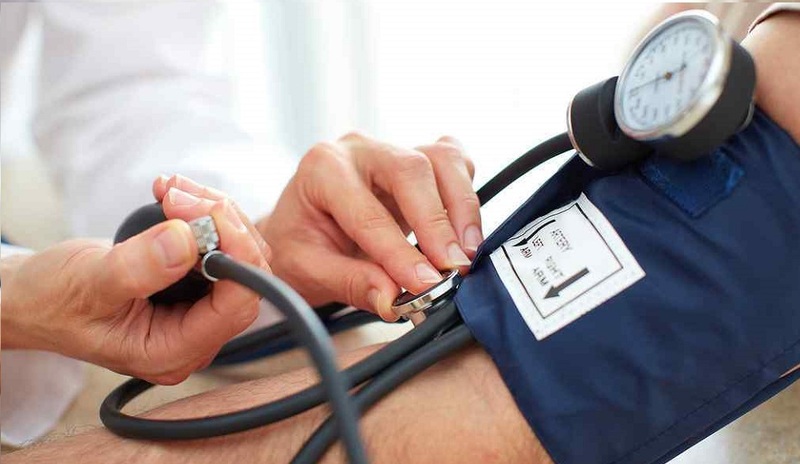 You may need to monitor your blood pressure at home. Ultrasound exams may be done throughout pregnancy to track the growth of your baby. If growth problems are suspected, you may have additional tests that monitor the baby’s health. This testing usually begins in the third trimester of pregnancy. If your hypertension is mild, your blood pressure may stay that way or even return to normal during pregnancy, and your medication may be stopped or your dosage decreased. If you have severe hypertension or have health problems related to your hypertension, you may need to start or continue taking blood pressure medication during pregnancy. Prevention involves identifying whether you have risk factors for preeclampsia and taking steps to address these factors. If you have hypertension and are planning a pregnancy, see your health care provider for a pre-pregnancy check-up to find out whether your hypertension is under control and whether it has affected your health. If you are overweight, weight loss usually is advised before pregnancy. If you have a medical condition, such as diabetes, it usually is recommended that your condition be well controlled before you become pregnant. 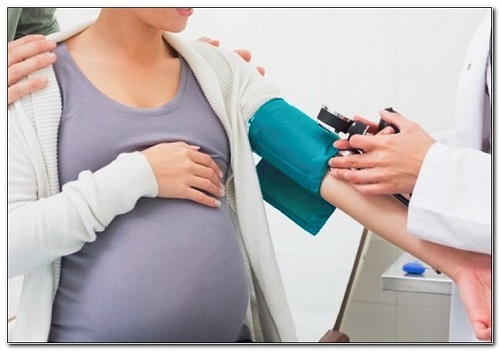 Chronic Hypertension: High blood pressure that was diagnosed before the current pregnancy. 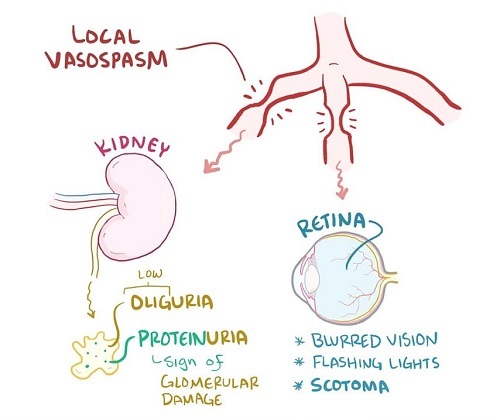 Eclampsia: Seizures occurring during pregnancy and linked to high blood pressure. Fetal Growth Restriction: A condition in which a fetus has an estimated weight that is less than that of 9 out of 10 other fetuses of the same gestational age. HELLP Syndrome: A severe type of preeclampsia; HELLP stands for hemolysis, elevated liver enzymes, and low platelet count. Hemolysis: Destruction of red blood cells. Kick Count: A record kept during late pregnancy of the number of times a fetus moves over a certain period. Liver Enzymes: Chemicals made by liver cells; elevated levels may indicate liver damage. Platelets: Small, disc-shaped structures found in the blood that help the blood to clot. Preeclampsia: A disorder that can occur during pregnancy or after childbirth in which there is high blood pressure and other signs of organ injury, such as an abnormal amount of protein in the urine, a low number of platelets, abnormal kidney or liver function, pain over the upper abdomen, fluid in the lungs, a severe headache, or changes in vision. Proteinuria: The presence of an abnormal amount of protein in the urine. Thrombophilia: A condition in which the blood does not clot correctly. FAQ034: Designed as an aid to patients, this document sets forth current information and opinions related to women’s health. The information does not dictate an exclusive course of treatment or procedure to be followed and should not be construed as excluding other acceptable methods of practice. Variations, taking into account the needs of the individual patient, resources, and limitations unique to the institution or type of practice, may be appropriate.